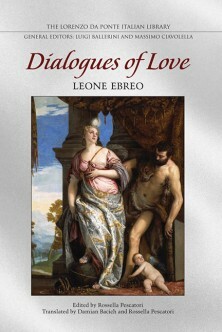 First published in Rome in 1535,Leone Ebreo's Dialogues of Love is one of the most important texts of the European Renaissance. Well known in the Italian academies of the sixteenth century, its popularity quickly spread throughout Europe, with numerous reprintings and translations into French, Latin Spanish, and Hebrew. It attracted a diverse audience that included noblemen, courtesans, artists, poets, intellectuals, and philosophers. More than just a bestseller, the work exerted a deep influence over the centuries on figures as diverse as Giordano Bruno, John Donne, Miguelde Cervantes, and Baruch Spinoza. Leone's Dialogues consists of three conversations - 'On Love and Desire,' 'On the Universality of Love,' and 'Onthe Origin of Love' - that take place over a period of three subsequent days.They are organized in a dialogic format, much like a theatrical representation, of a conversation between a man, Philo, who plays the role of the lover andteacher, and a woman, Sophia, the beloved and pupil. The discussion covers a wide range of topics that have as their common denominator the idea of Love. Through the dialogue, the author explores many different points of view and complex philosophical ideas. Grounded in a distinctly Jewish tradition, and drawing on Neoplatonic philosophical structures and Arabic sources, the work offers a useful compendium of classical and contemporary thought, yet was not incompatible with Christian doctrine. Despite the unfinished state and somewhat controversial, enigmatic nature of Ebreo's famous text, it remains one of the most significant and influential works in the history of Western thought. This new, expertly translated and annotated English edition takes into account the latest scholarship and provides aninvaluable resource for today's readers.